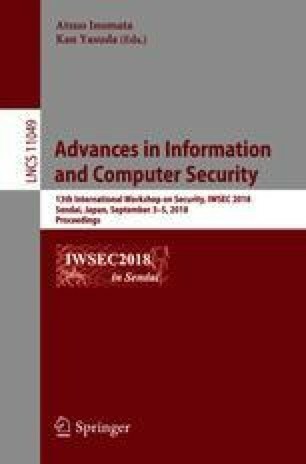 In this paper, we present a reduction from non-lossy/lossy identification scheme using rejection sampling to signature in the Random Oracle Model (ROM). The rejection sampling is used to ensure that the last step in the identification scheme does not leak information about the secret key of the scheme. This last step may fail, and to hide these failures to an adversary we use a Fiat-Shamir transform where we rerun the identification protocol until we get a valid output. We also apply our result for non-lossy identification scheme to the well-known BLISS signature [DDLL13] and compare with the original proof. Pauline Bert is funded by the Direction Générale de l’Armement (Pôle de Recherche CYBER). This work has received a French government support granted to the CominLabs excellence laboratory and managed by the National Research Agency in the “Investing for the Future” program under reference ANR-10-LABX-07-01.